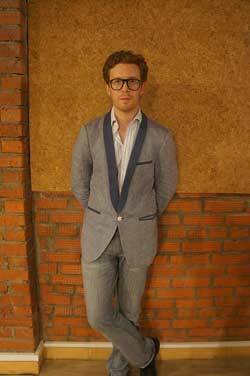 Nicholas Cullinan is curator of modern and contemporary art at the Metropolitan Museum of Art, New York. Previously he was curator of international modern art at Tate Modern, London, where he worked on exhibitions such as Duchamp, Man Ray, Picabia (2008), Cy Twombly: Cycles and Seasons (2008), and Pop Life: Art in a Material World (2009). In 2011 he curated the postwar Italian art section of the Fondazione Prada’s opening exhibition for Ca’ Corner della Regina in Venice; the exhibition Twombly and Poussin: Arcadian Painters at Dulwich Picture Gallery, London; and Tacita Dean’s Unilever commission for Tate Modern’s Turbine Hall. He is the author of Robert Rauschenberg: Photographs 1949–1962 (ed. David White and Susan Davidson, 2011) and a forthcoming monograph on Cy Twombly, and he writes regularly for publications such as Artforum, Burlington Magazine, Frieze, Mousse, and October.